ROGERSVILLE, Mo. 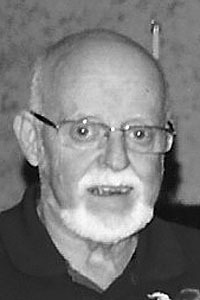 — Larry Alan Riley, 71, Rogersville, passed away Saturday, March 23, 2019 at Mercy Hospital, Springfield. He was born February 25, 1948 in Fort Dodge, Iowa, the son of the late Richard E. and Mary A. (Lumsden) Riley. He was united in marriage on May 11, 1988 in Eureka Springs, Arkansas to Shirley Ann Cotta. He was also preceded in death by a daughter, Kira Riley. Larry retired as a deli specialist after twenty-eight years with Associated Wholesale Grocers in Springfield. He was born and raised in north central Iowa and enjoyed reading and woodworking. He is survived by his wife, Shirley; two sons, Barry Smith and his wife Lindsey, and Jonathan Riley; four daughters, Lanette Powers and her husband Mark, Denise Brown and her husband Cory, Sherry Oliver and her husband Ryan, and Veronica Hurt and her husband Dan; two brothers, Ron Riley and his wife Bernie, and Gary Riley; twenty-six grandchildren, three great-grandchildren and many other relatives and friends. Funeral services will be held at 11:00 am Friday, March 29, 2019 at J.D. Lee and Sons Funeral Home, Rogersville. Burial will follow at Hopedale Cemetery, Ozark. Visitation will be held from 6 – 8:00 pm, Thursday, March 28, 2019, the funeral home. Online condolences may be made at www.jdleeandsons.com.